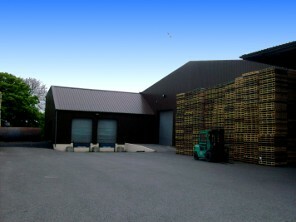 Reliable, Professional, Efficient - Warehousing and Distribution Experts. 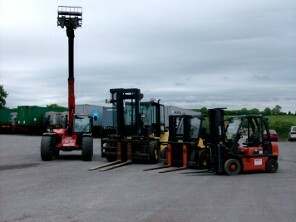 S. Mac Mahon Storage and Distribution Ltd is a family run transport company founded by Sean Mac Mahon in 1976. The company started out with one rigid truck, working for a local co-operative. Sean quickly saw the opportunity to develop the business into a storage and distribution centre and built his first warehouse in 1982. He also developed a large outside storage site. The warehouse area covers 90,000 sq ft. of food grade storage area (approved by the Department of Agriculture and Food) and 2,000 sq ft. of office space. The yard is covered with asphalt to keep dust problems to a minimum. At Sean Mac Mahon Transport we pride our selves on being a progressive and forward thinking business. As a result the company has invested, and continues to invest in cutting edge IT systems. These systems ensure that our business operates efficiently as possible. It also ensures that the level of customer service on offer from Sean Mac mahon transport is second to none.